When it comes to Minimalist style, Tsun Yuen is the one to watch. 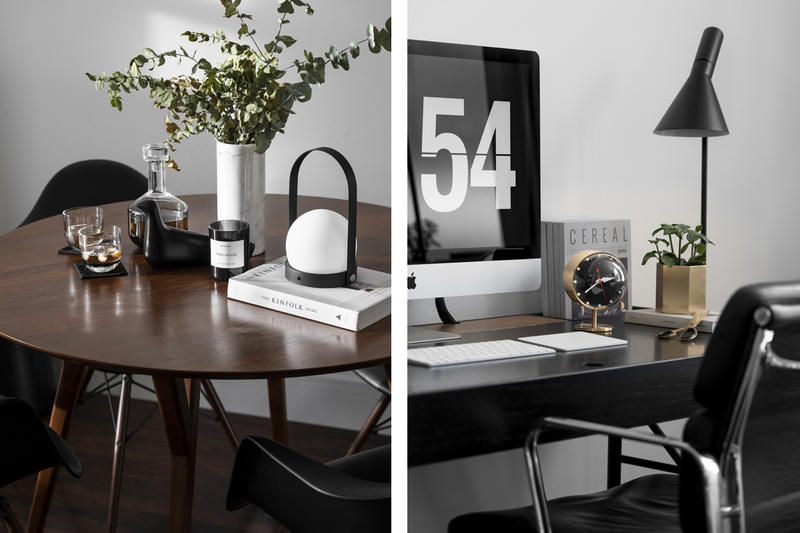 This up-and-coming London-based lifestyle blogger has a passion for all things pared-back and documents it on his beautifully curated website. We recently caught up with Tsun to ask him about his love of Minimalist style, where he turns for inspiration and what’s on his Wishlist. 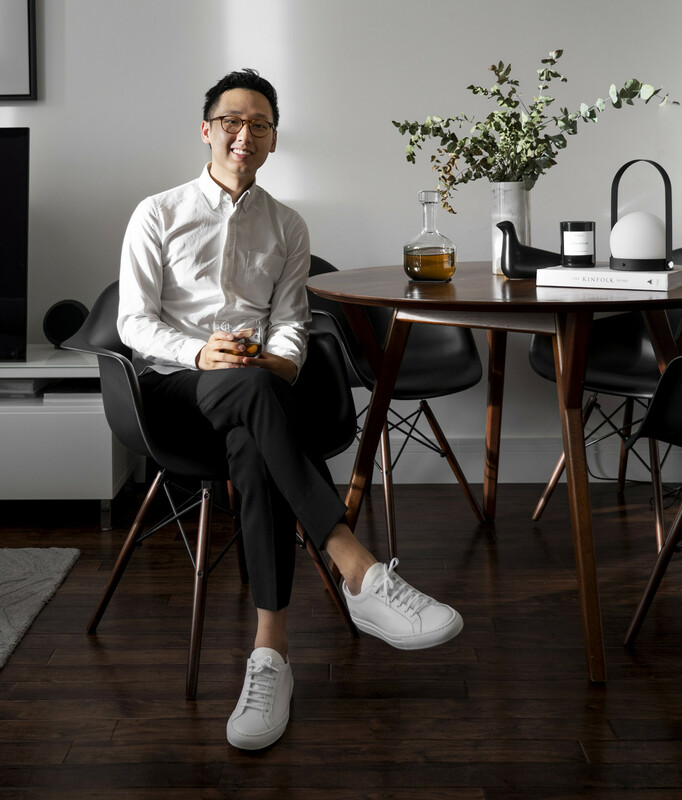 Blogger Tsun Yuen pictured with design favourites - Menu Carrie, Tom Dixon Whiskey Decanter & Vitra L'Oiseau Ceramic. You write about style and travel on your blog, Tsun Yuen. Can you tell our readers a little bit about how and why you started? After I graduated from my MSc programme in the UK, I ended up working in the world of banking and finance in London. Whilst I’ve found many aspects of my career and the industry fulfilling, there was a certain lack of creativity working with numbers and writing objectively in business. I’ve always had an entrepreneurial spirit which gave me the confidence I needed to start something on my own. I didn’t know anything about photography or blogging because of my business background, which was a huge learning curve for me. By throwing myself into the deep-end, it ignited a new found passion. A passion that quickly became a creative outlet for me to explore during my downtime from work. You’ve lived all over the world - in Hong Kong, Canada and the United Kingdom. How have the different places you’ve lived in over the years influenced you, and your style? For me personally, the influence lies in the unique relationship between space and design. In Hong Kong, where the country and city continues to be one of the most densely populated areas in the world, the lack of space often requires clever and functional design to compensate. Hoarding unfortunately was a trait my parents were typically fond of, a problem made less so when we moved from Hong Kong to Canada where space became less of an issue. The UK in my opinion sits in a happy medium between the two and having adopted a minimalist mindset when I moved out into London for my post-graduate studies and career, it helped evolve my style towards the pursuit of balanced simplicity. Are there any particular people, places or things that you turn to for inspiration? As an avid reader of Cereal Magazine, it was an early influence and contributor to my style of photography and creative writing. At the same time, since joining Instagram over a year and half ago, I’ve been able to find a supportive community of like-minded bloggers on the platform. It has been such a powerful tool to both share and draw inspiration from on a daily basis. Currently, I’m a big fan of @fredrikrisvik where I commonly share and admire his tasteful affinity for well-made products. Your personal style is very minimal and focuses on quality and craftsmanship - does your home follow the same ethos? Yes, very much so. I’m a strong believer of investing more and buying less; a quality over quantity approach, guided by mindful minimalism. For me, it’s about applying that same approach consistently in both what I wear and surround myself with at home. I’ve always had a penchant and admiration for beautiful and timeless design. I’ve put a lot of passion, care, and attention to detail into my home and so it’s only equally befitting to fill it with quality pieces built with the same level of care and passion by designers and brands that I truly resonate with. Pictured: L'Oiseau Ceramic, Eames House Bird, Eames Wool Blanket & Classic Pillow by Vitra, Menu Wire Plant Pot & Muuto Beam Table Lamp. What’s your favourite item in your home, and why? It would have to be the Arne Jacobsen floor lamp by Louis Poulsen. Not only was it my first Arne Jacobsen piece but it also helped to open up my approach when it came to investing into my home. 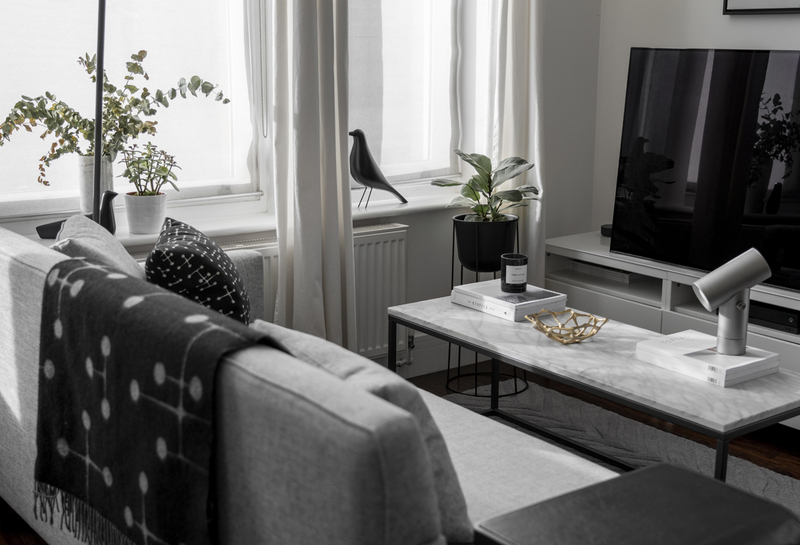 Having moved around so often before, I’ve always found it difficult to buy home furniture because I never knew whether or not it would fit into the ‘next place’. In the pursuit of opportunities in my 20’s, home was more a practical concept. Over time, it instilled an element of apprehensiveness and uncertainty when it came to decisions like these. Since finding a degree of permanence in London, I’ve learnt to find repose by investing into timeless and versatile designs, designs I know that will stay with me in my ‘next place’ and even the place after that. The AJ Floor Lamp currently sits beautifully in the living room as a mid-century statement piece and is one that I know will continue to be fond of for the years to come. 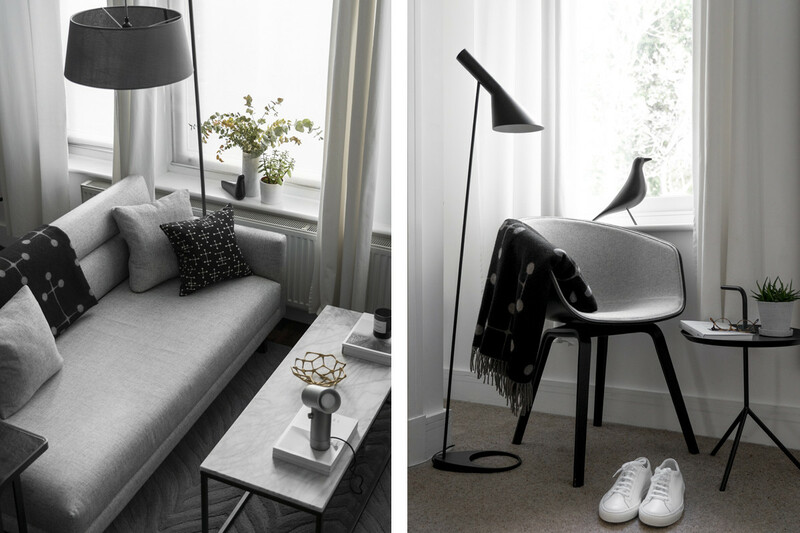 Living life with mindful minimalism, Tsun's home and favourite item the AJ Floor Lamp. Pictured: Hay DLM Side Table & About a Chair AAC22. You live in London, a city that’s always buzzing with excitement and activity at this time of year. What are your favourite things to do in the capital during this period? Can you describe your ideal festive weekend? Both my partner and I are big food and coffee enthusiasts, and there is no better place than London to get your fair share of delights for both. An ideal weekend would include checking out a few of our favourite restaurants and street markets in the city. On a cold Winter’s weekend, I would recommend starting with a hot Udon from KOYA to warm yourself up, followed by walking around East London to experience the festivities in Spitalfields and Maltby Street Market where it’s also a bit less touristy. There you’ll find a plethora of local coffee shops and eats; favourites include Workshop Coffee for the perfect brew and dinner at Lyle’s before enjoying a late-night stroll by the Thames in Southwark for the festive lights. We believe the best gifts should evoke joy, whatever that may mean to the person receiving the gift. Some find joy in the functionality of the gift or joy within the aesthetic. What is the best gift you have ever been given and why? My Ulysse Neo Notebook from Hermès. It was given to me as part of a birthday getaway in Paris by my partner, Sammy. It truly was the perfect gift as I’ve used it on a daily basis for work and serves as a special reminder of the our time together in the city. Made with a single cut of full grain togo calfskin with a palladium plated Clou de Selle snap closure, it’s a timeless piece of artisanal leatherwork that I wouldn’t normally spend on myself. For me, the best gifts are the ones where the person gifting has put in a considerable amount of time and thought in understanding you as an individual and gets it right. The proverbial bar has been set very high and the pressure to reciprocate is certainly on this year! Anxiety ensues. Iconic design gift, the Vitra Night Desk Clock. What’s on your wishlist from Nest.co.uk? An all-black Eames lounge chair and ottoman by Vitra. It’s been on my wishlist for a long time and would be the iconic piece to own when I do move out into a larger place. Charles and Ray Eames’s designs have always held a special place in my heart and were two of the most influential designers towards mid-century modern. Finally, how will you be spending the festive period this year? Almost becoming of a new tradition, my partner and I typically find ourselves abroad in Europe in search of the best Christmas markets. We spent it in Paris last year and Amsterdam the year before that, and both have been memorable Winter getaways. We’re looking to potentially spend it in Prague this year and at the same time, revisit old university friends along the way. Do you appreciate mindful minimalism? Show us your favourite spaces by sharing your pictures with us on Instagram, Facebook or Twitter!